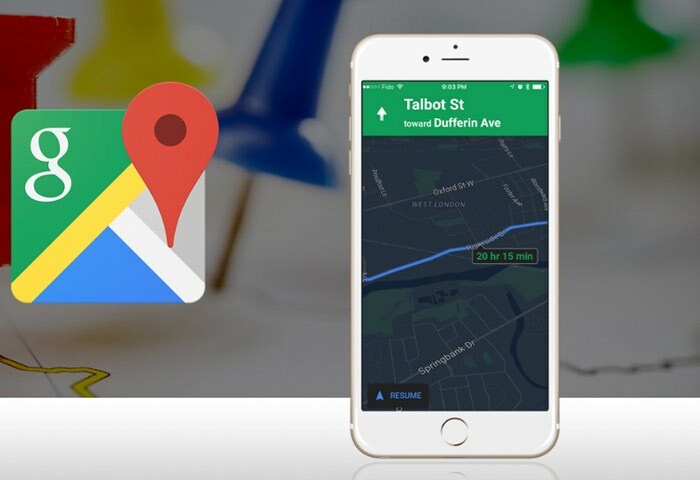 Google has this week rolled out a new update to their Google Maps iOS application which brings with it a feature that has been available for some time on the Android version of the application. Providing a Night Mode feature making it easier to use the application during the night and following in the footsteps of many GPS applications such as TomTom that already provide a similar feature. The new Night Mode is now available to use in the latest Google Maps and US application that can be downloaded automatically directly from your iOS device or from the Apple iTunes App Store for free. As well as adding the new Night Mode, Google also added a number of new features such as the ability to label places to see them on your map and in search suggestions.